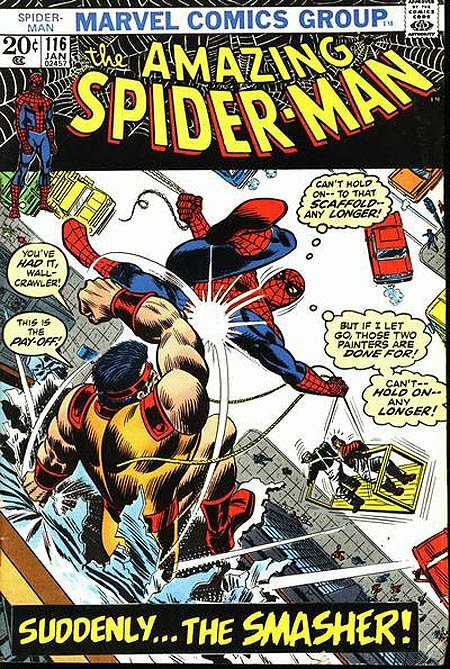 Click Here To See Amazing Spider-Man #116 Comic Book! 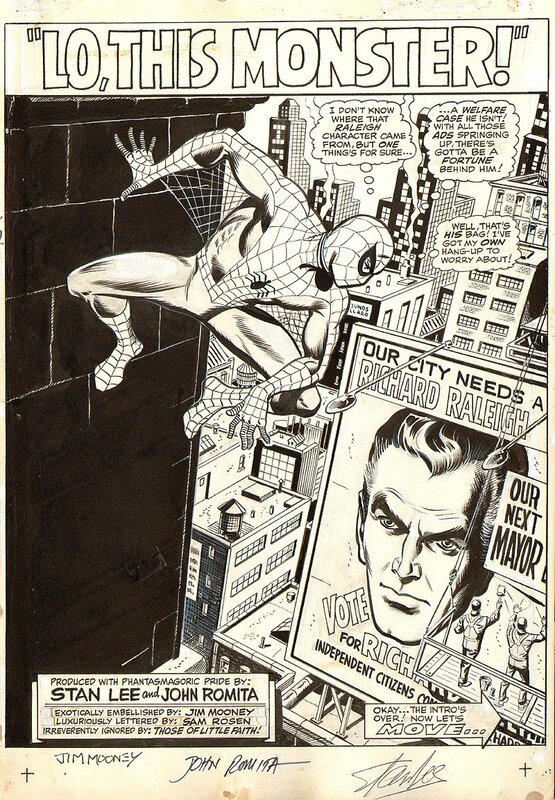 When was the LAST time you ever saw a John Romita AMAZING SPIDERMAN SPLASH PAGE FOR SALE? Well just check out this very cool cover which was penciled by the great John Romita, and inked by Jim Mooney, from the story titled: "Suddenly...The Smasher!!" This nice oversized SPLASH features a HUGE image of SPIDERMAN as he watches a billboard being put up during a 1968 political rally! Actual art image measures 11.25 by 15 inches and everything on splash, including word blurbs and title logo are all HAND DRAWN! Splash is signed at bottom in ink by Stan Lee, John Romita, AND Jim Mooney! SWEET! ALL HIGH end pieces of art, including this one, are able to be purchased with VERY fair time payment plan options, and trades are always considered towards this and any other pieces of art on my site here! Just send me an email and we can try to work something out.